If you or child catches pertussis, commonly known as whooping cough, you may think you just have a cold. But pertussis is more severe than the common cold and tends to last much longer. What’s more, pertussis isn’t just a virus that will eventually run its course. It’s a respiratory tract infection that calls for a specific treatment regimen. Most people can receive a pertussis vaccine to avoid the disease completely. Children who get the five-part vaccine are unlikely to ever catch pertussis. You will know your “cold” might be pertussis when symptoms evolve into intense coughing fits around one to two weeks after you started feeling sick. Wondering where “whooping” enters the picture? People infected with pertussis usually suffer intense coughing bouts followed by a strained intake of air. Just imagine somebody in the middle of a coughing fit who sounds like this: “Cough, cough, cough… whoop!,” and you should get the idea. Thankfully, pertussis is highly treatable in most cases. And if you’ve received the vaccine, it’s highly preventable as well. Infants are particularly vulnerable to pertussis, so pregnant women and people who will come in contact with an infant should always receive the vaccine. While most people receive the pertussis vaccine as children, its effectiveness tends to wane after age 11. For this reason, vaccine boosters are available for adolescents and adults. 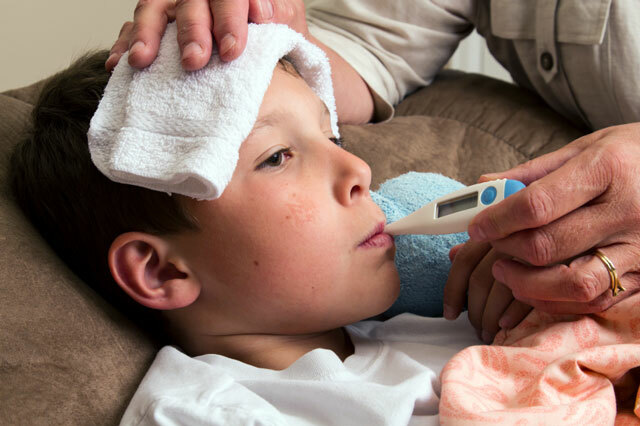 If you’re exhibiting symptoms of pertussis or think your child might be infected, contact your local FastMed Urgent Care clinic. We can perform a simple test for pertussis and start you on a treatment regimen that makes you feel better fast.